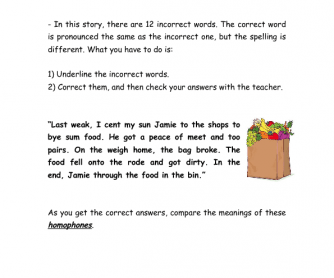 In this activity, students will see the homophones. I adapted this from an activity in the book "English Pronunciation in Use", by Mark Hancock. 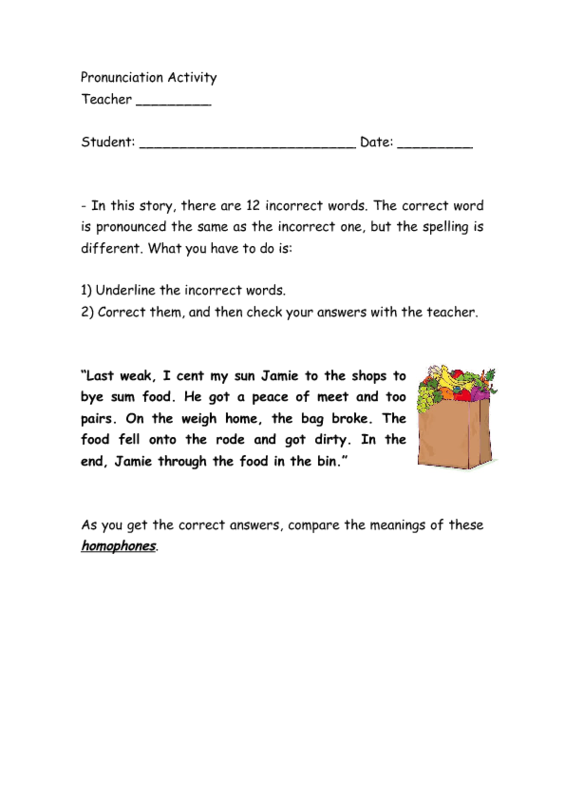 It can be done with elementary to pre-intermediate students, and can last about 20-30 minutes. It will depend on the class.